Mini news update 2.3 for you! A few words about the changes in the position of the top tanks. We also reduced the length of the line Soviet MBT removing from the line tank Black eagle. Thus the path to the Armata tank does not become longer and remain at the same level. - A new map called "Arena" has been implemented. - A push-notification system for sales and offers has been implemented. - A bug that caused invisible objects in different maps has been fixed. Objects which could not be seen, but which prevented tanks from moving forward, will no longer be a problem. - An option with the ability to reverse the tank has been implemented to the settings. - An option with the ability to choose whether to use 1 or 2 as standard zoom value when zooming in first person mode has been implemented to the settings. - The camera control algorithm has been changed. - The camera’s movement speed when changing camera modes has been increased. 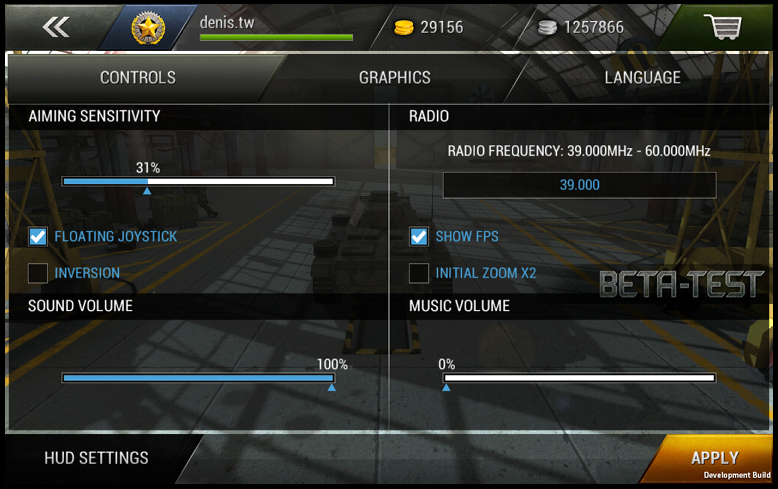 - The amount of time required to capture a target using ATGMs has been reduced from 5 seconds to 3.5 seconds. - The minimum distance for capturing a target using ATGMs has been reduced from 70 metres to 50 metres. - The angle of capturing a target using ATGMs in first person mode has been increased by 15%. - The deviation circle when changing zoom values in first person mode has been corrected. 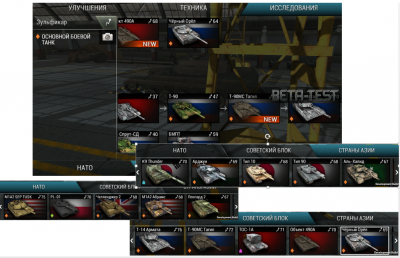 - The amount of silver required for tanks, module upgrades and camouflages has been reduced by 15%. - The amount of gold required for garage extensions has been reduced: the minimum requirement has been reduced by 25% (from 20 gold to 15 gold) and the maximum requirement has been reduced by 50% (from 200 gold to 100 gold). - A warning window when closing the statistics window has been implemented. - The spawn frequency of air support and repair kits has been reduced by 20%. - The mine damage has been doubled. - Map "City" has been optimized and re-made. - The dynamics for tank acceleration has been increased. Very nice Denis! Good job! That's something good to see.
? - Increase vehicles acceleration. Edited by basmal121, 07 August 2017 - 03:11 AM. Wow, this is actually something I really wanted to change, awesome, thanks guys. Now if the game's lag is actually reduced (maybe with more options to lower graphics in settings), I might be able to play TT again like I could before update 2.2, without freezing and crashing. "I am invisible, I am stealth, I am... bush tank..."
It cannot be so much work to change a few numbers to make the game playable. Edited by nardo99, 10 August 2017 - 07:26 AM. News updated, read about the changes in the first message. Edited by Drestdave, 16 August 2017 - 11:39 PM. T-14 Armata's stock level has been reduced to level 70. Black Eagle has been removed from the tech tree where T-14 Armata is. In the current version, you must own Black Eagle with at least ten upgraded modules before you can buy T-14 Armata. In version 2.3, this will no longer be required, as Black Eagle has been separated (can be bought without the requirement to buy and upgrade at least ten modules on the previous tank). Hello tankers! I am pleased to inform you that the 2.3 update is sent for review to the AppStore ! grear news, hope apple doesnt take too long tho. According to this, It shall take 2 days. Edited by basmal121, 22 August 2017 - 04:55 AM.